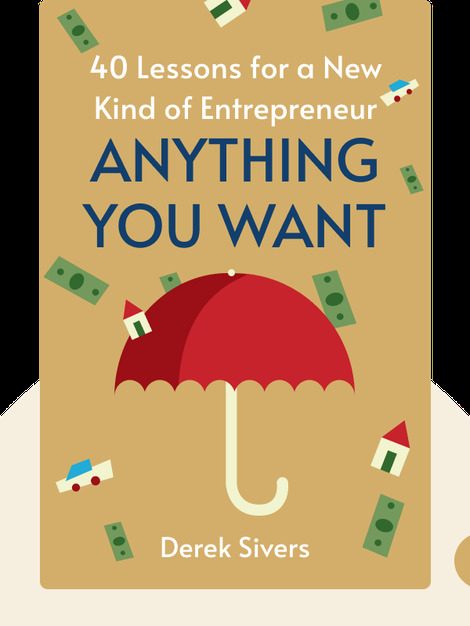 Anything You Want (2011) is a guide to realizing your dream business, which is easier than you might think. These blinks will teach you why the conventional ideas of amassing tons of money, consultants and technology are all wrong, and that the real key to success is you and your stellar ideas. 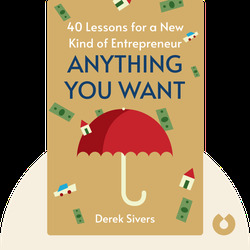 Derek Sivers began a career as a musician who endeavored to sell his music online. This simple idea became the basis of CD Baby, a company that was the biggest seller of independent music on the web when he sold it in 2008 for $22 million.